Have FOX SHOX that need some love AND your going to the upcoming Sno Baron's Hay Days on Sept. 6-7? Here's a sweet deal: Just drop your shocks at the FOX booth and you'll receive freshly-serviced shocks in 5-10 days, without paying for return shipping. I'm thankful we can get together with like-minded friends, far away from the watchful eyes of PETA. 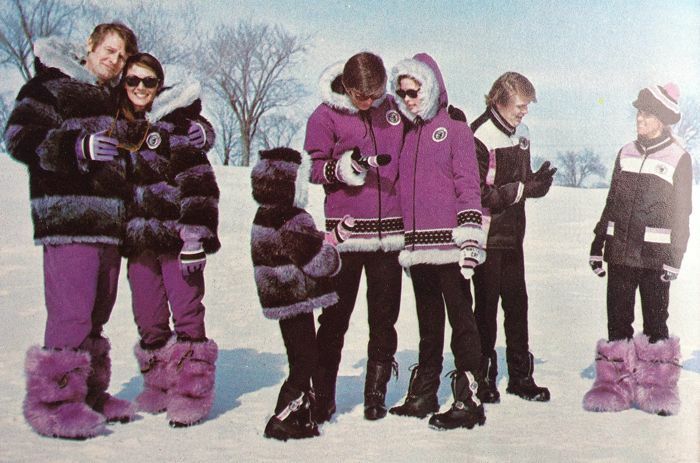 I'm thankful the absurdity of moon boots is still a few years away. And I'm thankful it's Friday, Aug. 29, 2014. 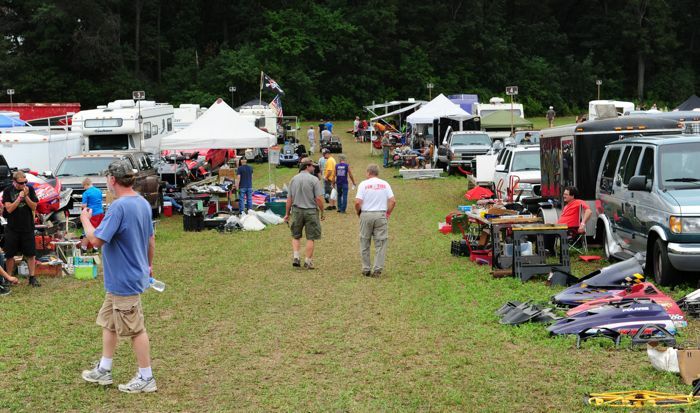 The snowmobile season officially started for the several thousand people who came to the Rum River/Outlaws Swap Meet and Grass Drags in Princeton, Minn., last weekend. Get an in-depth look at Arctic Cat's commitment to quality with this cool and interesting video that was originally produced for their 2015 Snowmobile Dealer Show. While the focus here is snowmobiles and engines, the same intentional focus on quality is also utilized in the development and production of ATV and side-by-side machines. Lot's happening in this video, I watched it twice! Once again, Arctic Cat nails it with a great Waiting For Winter Guy piece! I'm thankful for the wind-in-my-hair feeling I get while floating over yonder hill and dale (I just wish I could see where we were going). I'm thankful for the versatility offered by the accessory Wing Kit (part # 5205-393, $395.95 U.S./$525.95 Canada). I'm thankful that Yeager will attempt to beat the sound barrier instead of me. And I'm thankful it's Friday, Aug. 22, 2014. 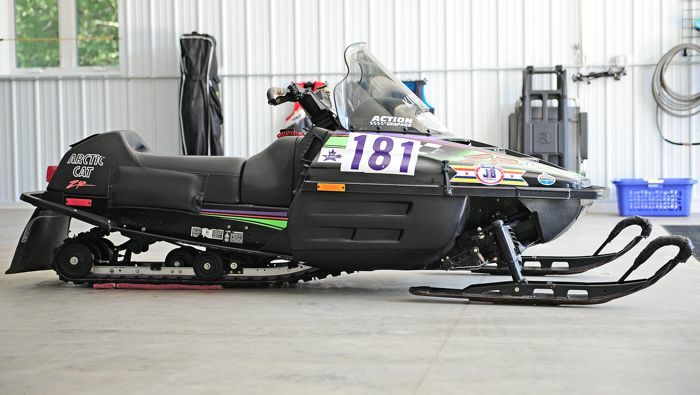 The 1993 Arctic Cat ZR 440 (and 580) are among the all-time great snowmobile model introductions. The competitive achievements of this first-year model set the tone for one of most commercially successful machines in Arctic Cat history. 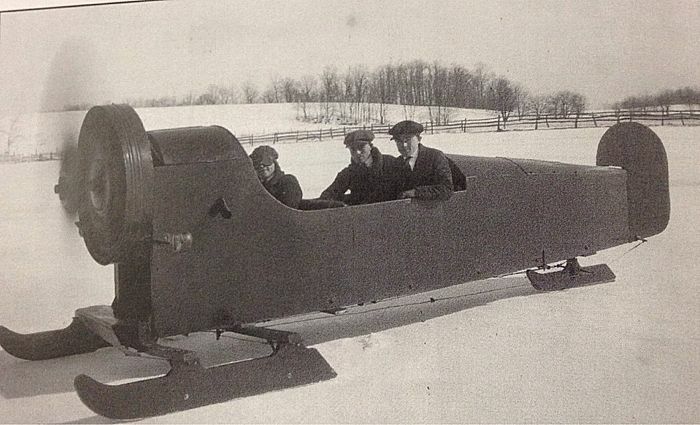 Aboard these purpose-built machines, Team Arctic racers rode roughshod over the competition in cross-country, snocross and oval events. Kirk Hibbert's victory in the St. Paul to Thunder Bay I-500 cross-country was perhaps the most significant win for a ZR that season. Click to see some pix and read a little about it. 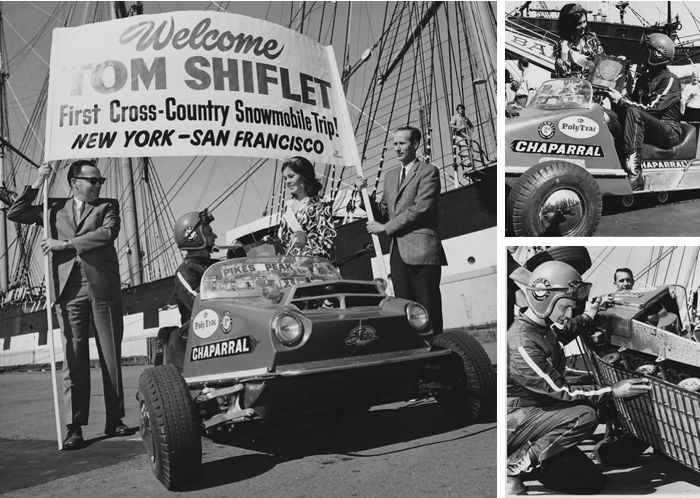 I'm thankful for the fame and notoriety I received for driving my Chappy snowmobile across the U.S. during the summer (the babes weren't too bad either). 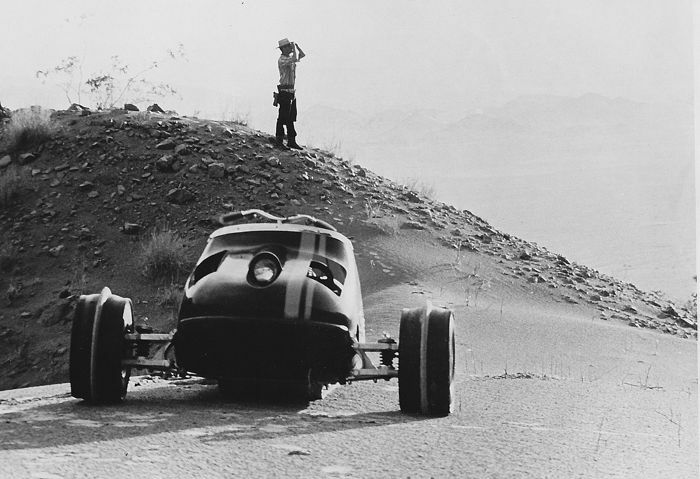 I'm thankful for the rugged dependability of my Rockwell engine and PolyTrac track. I'm thankful for the stop I made in Cheyenne, Wyo., to get these sweet cowboy boots. And I'm thankful it's Friday, August 15, 2014. Bubble Sled: Some Ask, "Why Not?" I'm not sure what question to ask about this craigslist-of-the-month find. Really, REALLY love the smell of 2-stroke? Click for a few more great images. 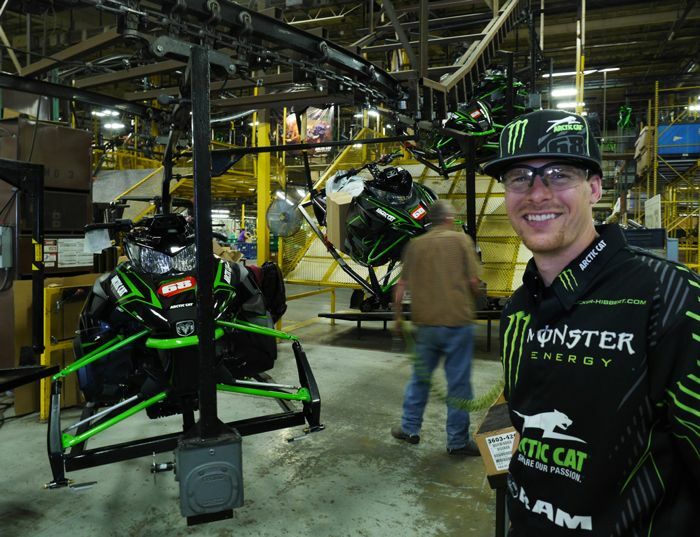 Last week Arctic Cat built the 2015 Tucker Hibbert Edition ZR 6000 RR models in Thief River Falls. Tucker stopped by to check out the process, fist-pump some of the people doing the assembly, snag a sweet pair of safety glasses and place a "SOLD" tag on one of the machines for himself. 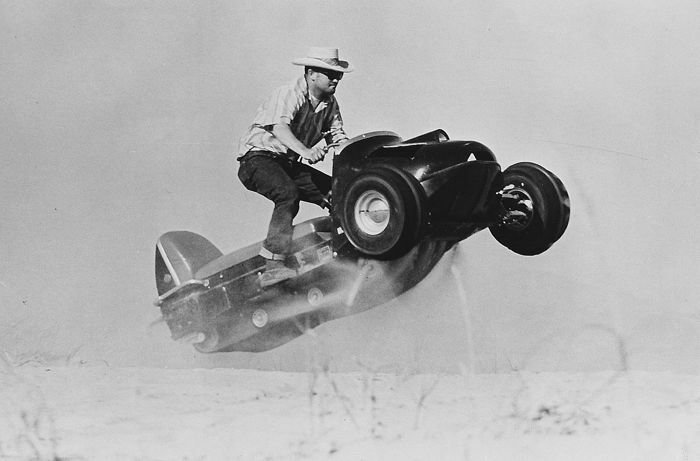 I'm thankful that Ronald and Nancy Reagan agreed to test-ride my snowmobile (before he became President). I'm thankful he ignored his conservative nature and simply went full-throttle. I'm thankful Nancy and my wife eventually shut their mouths. And I'm thankful it's Friday, Aug. 8, 2014. This video is a great reminder to be careful when jumping personal watercraft. 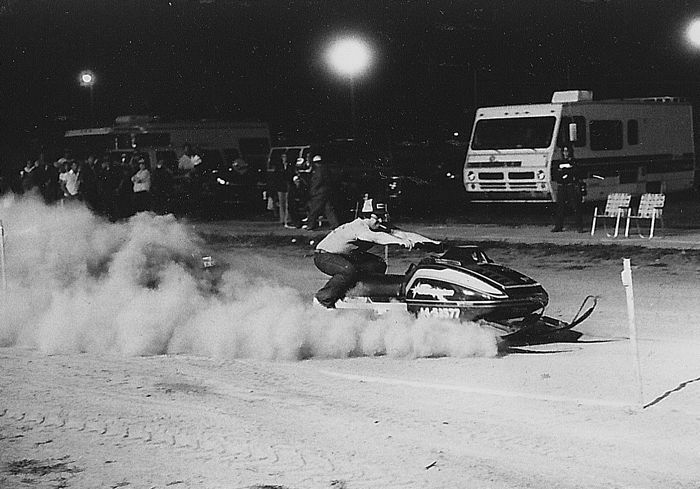 By the way, I'd bet that no mention was made of this little incident when the throttle jockey returned the rentals. 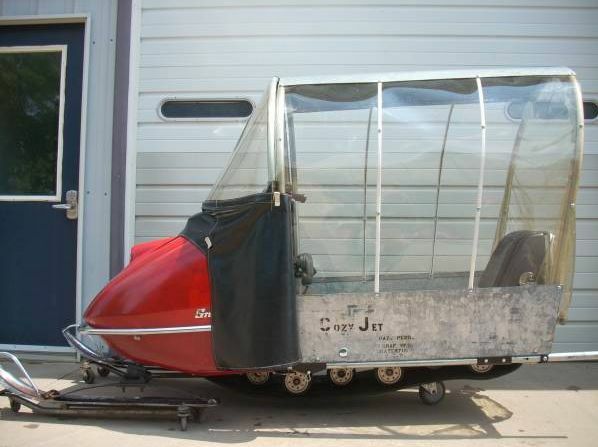 I'm thankful it's August and the summer snowmmobile drag season is upon us. I'm thankful for the RUSH I feel when dragging on a cig while also dragging my sled. I'm thankfull all those suckers behind me are eating my dust. And I'm thankful it's Friday, Aug. 1, 2014. 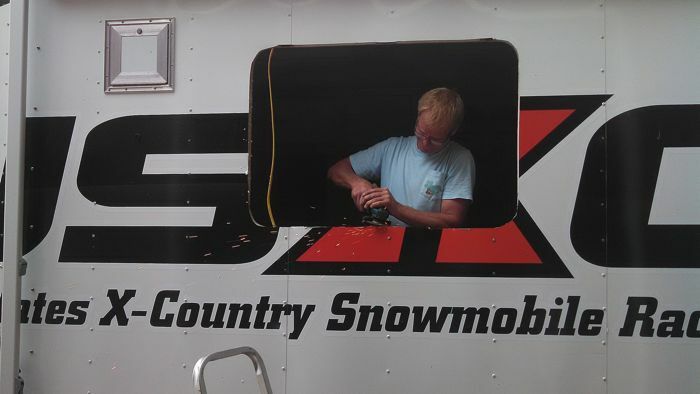 It's been a busy summer for the crew at USXC Racing as they lay a successful foundation for the upcoming Winnipeg to Willmar I-500 cross-country. Occasionally Brian Nelson, USXC director, sends me an email with updates on their progress (and the considerable work required). Click to read the incredible foundation being laid for this historic race. 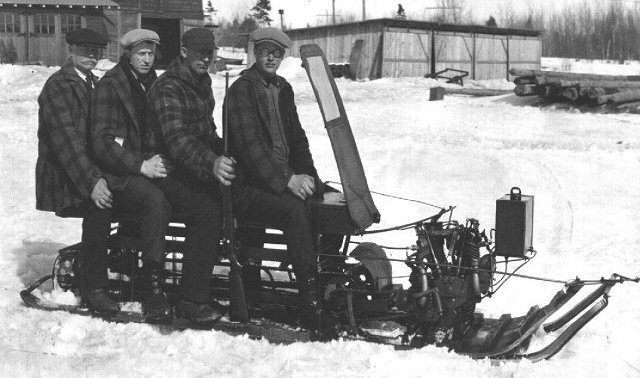 Part two of the Vintage Road Trip to Wisconsin had Tom Rowland, Jim Dimmerman and myself making an impromtu visit with vintage Arctic Cat collector Randy Springer at his shop in Wausau. 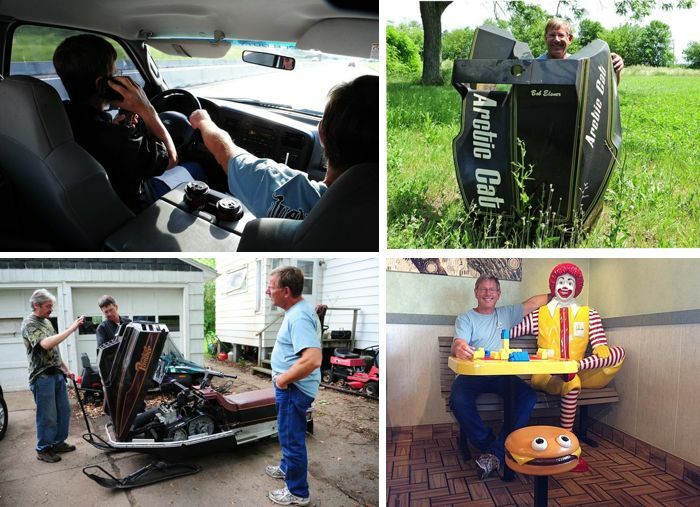 The stuff we saw of Randy's was thrilling, surprising and enlightning. I'm thankful I bought the sled on the extra-early spring program, because we used the CatCash to buy matching jackets. I'm thankful I opted for the touring model featuring the 4-up seat, tall windshield and fiberglass overload springs. I'm thankful Hank brought his rifle and pistol. And I'm thankful it's Friday, July 25, 2014. 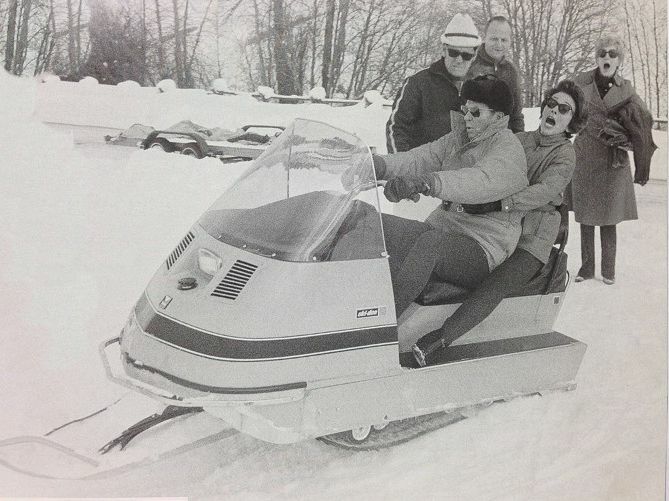 Recently I joined my friends Tom Rowland and Jim Dimmerman on a 2-day road trip to Wisconsin whose theme was "1982 prototype snowmobiles" from Arctic Cat and Scorpion. 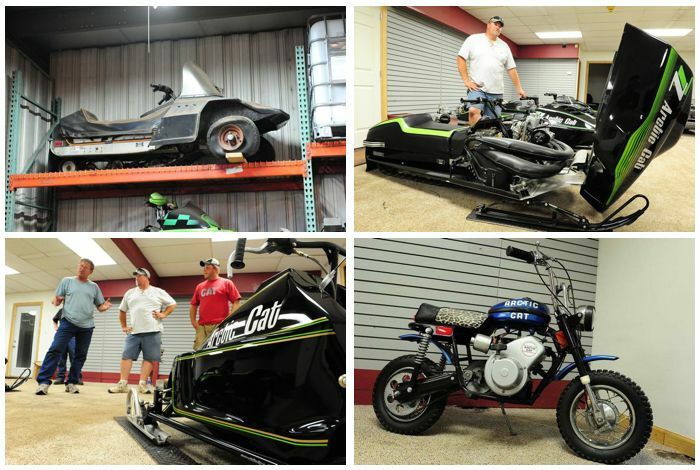 During the trip we revisited CPC; uncovered a '82 Scorpion snowmobile; snagged a proto '82 Arctic Cat; met with Arctic Cat collector Randy Springer; and had an enlightening conversation with Gordon Rhode. It was a road trip of epic laughter and education. Click to read part one of the trip. Once a month Arctic Cat distributes info to the media highlighting select new products. 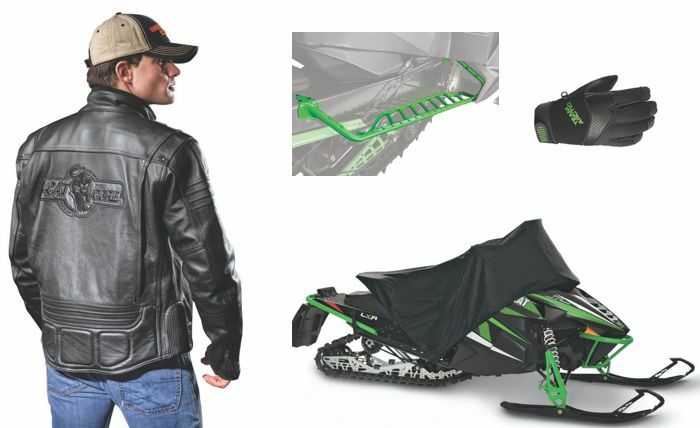 This month the batch includes the Cat-to-the-Core leather jacket, Mountain Tec gloves, ProClimb boards and half-covers. Make the jump to see and read about them. 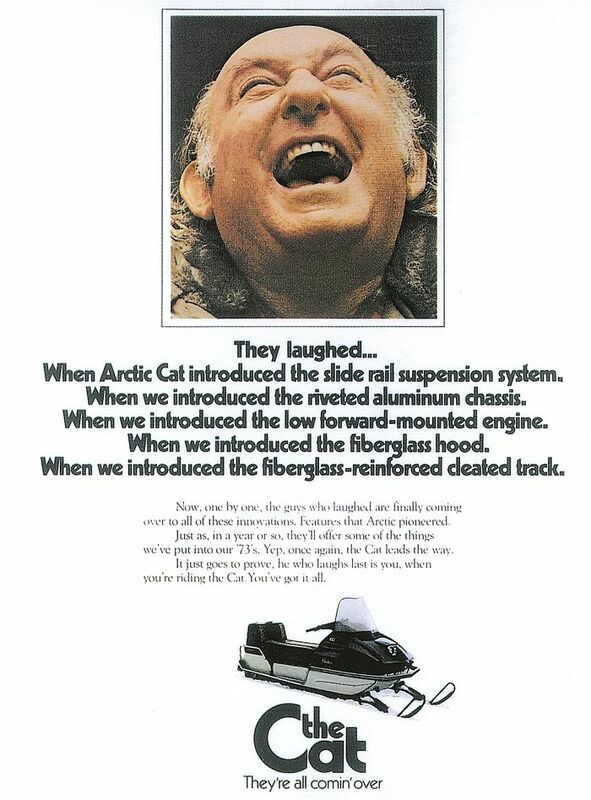 Once in a while I hear a story of an Arctic Cat rider's passion for snowmobile, and it moves me to tears. 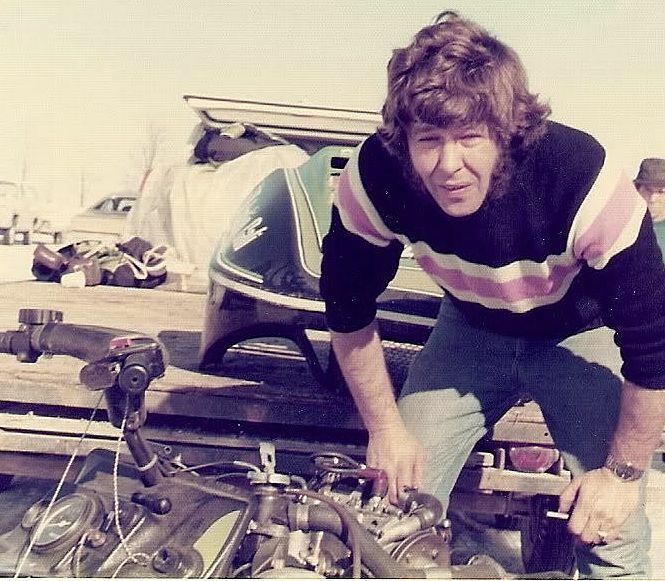 This story from Kyle Hofland about his great uncle Doug (above) is one such story. Click to read a truly wonderful story about passion and family ties. I'm thankful that when the snow melts to reveal the sand dunes, my trusty steed is ready to adapt via a front-end-wheel kit. I'm thankful I can scout out the sweetest sand cornices and jumps and, once identified, that I can air it out while wearing my straw hat. And I'm thankful it's Friday, July 18, 2014.